With their supporters energized in opposition to Donald Trump, Democrats hold their widest advantage in midterm election vote preferences since 2006, when they seized control of both houses of Congress. Rebounding from a tighter contest in the spring, Democratic House candidates now lead their Republican opponents nationally by 52-38 percent among registered voters in a new ABC News/Washington Post poll – a lead that holds up across a range of likely voter models. Surpassing that Democratic lead in vote choice, 60 percent of registered voters say they’d rather see the next Congress controlled by the Democrats, as a check on Trump, than by the GOP, to support Trump’s agenda. Preference for Democratic control is up 8 points from a year ago. The Democrats’ advantage reflects Trump’s broad unpopularity. As reported Friday, 36 percent of Americans approve of his job performance, the lowest approval rating for a president heading into his first midterms in polling dating to 1954. Next closest were Jimmy Carter’s 42 percent in 1978; Barack Obama and Bill Clinton at 46 percent in 2010 and 1994, respectively; and Ronald Reagan’s 48 percent in 1982. Most of those are not good omens for the Republicans: The parties in control of the White House lost 63 House seats in Obama’s first midterms, 52 in Clinton’s and 26 in Reagan’s (but fewer, 15, in Carter’s). And in 2006, when the Democrats last held pre-election leads as high theirs now, they gained 31 seats. Underscoring Trump’s potential role, 59 percent of registered voters say it’s highly important to them to support a candidate who shares their opinion of the president. Essentially equal numbers of Trump’s supporters and opponents say so. The difference is that his critics outnumber his backers by a 22-point margin in this survey, produced for ABC by Langer Research Associates. 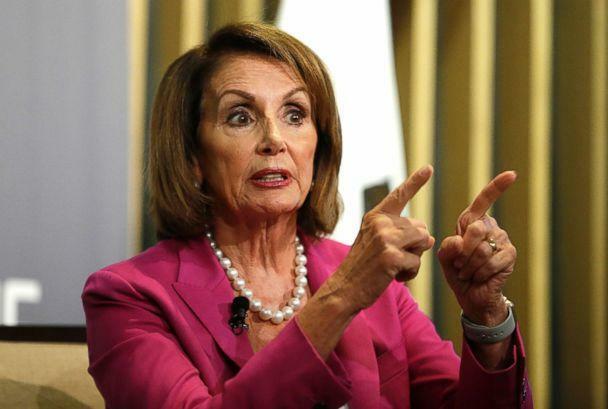 Notably, far fewer, 34 percent, strongly seek a candidate who shares their view of Nancy Pelosi, the House Democratic leader and GOP election foil. • While 51 percent of Americans say the Democratic Party is out of touch with most people’s concerns, that’s down 16 points since April 2017. And many more, 63 percent, say both Trump and the Republican Party are out of touch, with no gain for either. 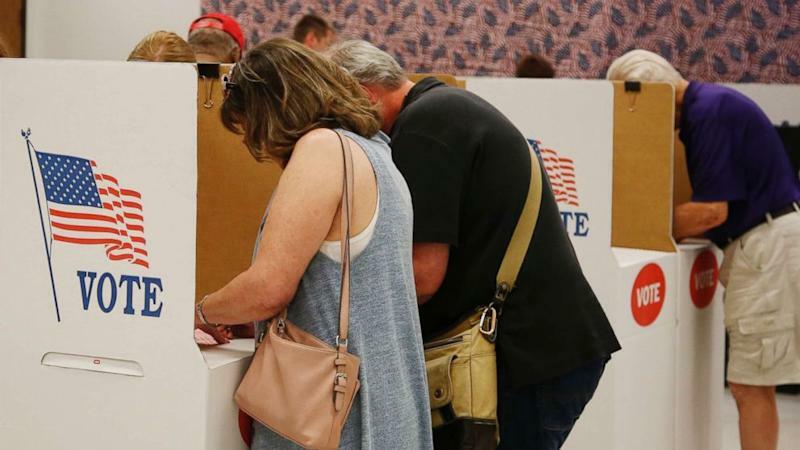 • Sixty-five percent of registered voters say it’s more important to them to vote compared with past midterm elections. Among those who approve of Trump’s work in office, 56 percent say so. But among the much larger number who disapprove of Trump, many more, 73 percent, say it’s more important to them to vote this year. • The number of self-reported registered voters who say they’re certain to vote this year has grown from 62 percent in January to 67 percent in April to 75 percent now. Those gains have occurred disproportionately in more Democratic groups – up 24 points among blacks since April, up 17 points among 18- to 29-year-olds and up 11 points among Democrats and moderates alike, for example. • The shares of Democrats, Republicans and independents in the survey is typical of their long-term levels -- 34, 27 and 33 percent, respectively, among registered voters. But more independents are now leaning toward the Democratic Party rather than the Republican Party -- 46 percent, vs. 36 percent in April. A broad 72 percent of registered voters think the Democrats will try to impeach Trump if they take control of the House -- a line the Republicans have been using to push against voting for Democratic candidates. But the approach has its challenges. The reason is that, among those who support Democratic candidates, 72 percent in fact favor impeachment proceedings against Trump. Support for impeachment plummets among GOP voters, to just 12 percent. As such, the GOP may motivate more of its voters to turn out in opposition to impeachment – but in so doing, it risks motivating Democratic voters to turn out for precisely the opposite reason. There’s a middle group, not currently supporting either side, in which most expect a Democratic House to impeach but fewer like the idea. The Republicans could fish for anti-impeachment voters there -- but it’s a very small pond. Turnout is key, particularly in midterms, when it typically favors the GOP. The party’s risk is that motivated opposition to Trump may swamp its traditional advantage. The Democrats’ risk, in turn, is that the anti-Trump vote could end up to be more talk than action in the final event. Other issues could help turn the screw, in either direction. The economy may offer the Republicans their greatest hope. Fifty-eight percent of Americans say it’s in excellent or good shape, up -- albeit just by 7 points -- since Trump took office. The public divides evenly on how Trump is handling the economy, not a good score but a far better one than his approval overall. At the same time, more Americans oppose than support Trump’s tariffs on some imported goods, 50-41 percent, with strong opposition exceeding strong support by 11 points. Results on tariffs are highly partisan, as are views on immigration, another issue the GOP has been pressing for election advantage. It could help in some districts; if the Democrats took control of the House, 43 percent of Americans say they wouldn’t be tough enough on immigration. At the same time, more, 56 percent, say Trump is “too harsh” in dealing with illegal immigration. For them, the Democrats may in fact be a welcome counterweight. A third item, the nomination of Brett Kavanaugh to the U.S. Supreme Court, is an unlikely election factor on two grounds. One, judicial nominations rarely rate highly among voters’ concerns. And two, as reported separately, Kavanaugh’s public support is among the lowest on record for a high court nominee. Results in House vote preference include some sharp changes from an ABC/Post poll in April, when Trump was in better shape and the overall contest had narrowed to a scant 4-point Democratic lead. It looks now more like it did in polling last January and November, with 12- and 11-point Democratic advantages, in line with today’s 14 points. The shifts include a dramatic falloff for the Republicans in one of their core support groups, non-college white men. They backed GOP candidates by a 43-point margin in April; it’s a much tighter 10 points today. That’s moved the race among men overall to a dead heat, 45-44 percent, Democratic-Republican. The Democrats, at the same time, have achieved growth in one of their key groups, college-educated white women, up from a 24-point lead last spring to 38 points now. The Democrats now lead by a wide 25 points among women overall. 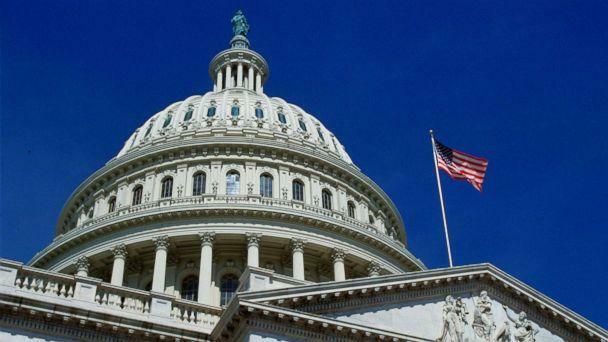 The poll finds an even race among whites, 45 percent for Democratic House candidates, 46 percent for Republicans. The Democrats then push ahead with a vast 50-point lead among nonwhites, including 89-4 percent among blacks. A 1-point result among whites would be an extraordinary result in these midterms; Republican House candidates won whites by 22 points in 2014 and 23 points in 2010. But it was a scant 4-point race among whites in 2006, the race the Democrats hope will be analogous to this year’s. Another result would be even more remarkable if it held through to Election Day: Americans age 65+, a typically more Republican group in recent elections, backed GOP candidates for House by a 16-point margin in 2014 and 21 points in 2010, narrowing to a dead heat in 2006. In this poll, surprisingly, Democrats lead among seniors by 22 points, 57-35 percent -- enough for a midterm record, by a long shot, if it holds. Notably, Trump’s job approval rating among seniors is just 38 percent in this survey, 10 points below his peak in this group in spring 2017. Also worth examining are sometime swing voters. Independents are the prime example; they typically vote with the winner, for example, favoring Republican House candidates by 12 points in 2014 and 19 points in 2010, but Democrats by 18 points in 2006. Today they back Democrats by just that margin, 18 points. White Catholics also are potential swing voters; they backed Republicans by 22 points in 2014 and 20 points in 2010, compared with a +1-point Democratic outcome in 2006. Today, white Catholics are back in dead-heat mode, +3 Democratic -- again just about exactly matching the 2006 race that the Democrats hope to repeat, and the Republicans to avoid.